Welcome to " Be Made Whole.Net" ..The pH Factor. 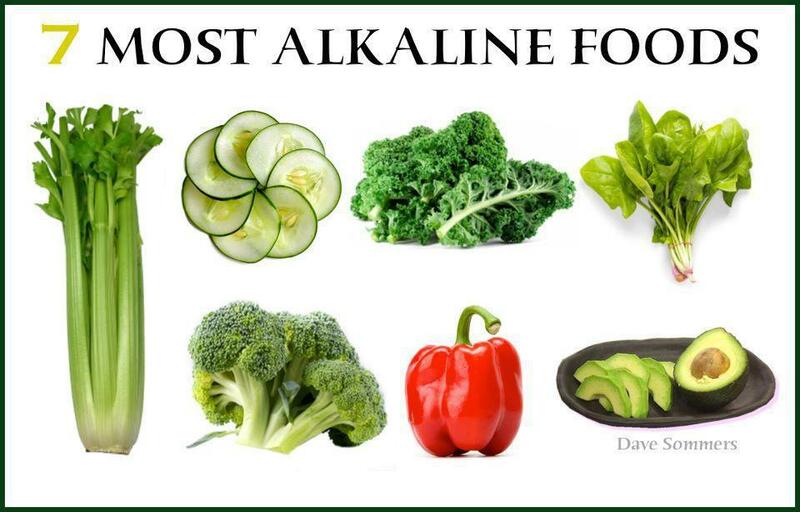 In order to heal, the body's pH must be alkaline, not acidic. "Acidosis" refers to an acid pH. It is an imbalanced acidic condition of all bodily fluids. Almost all cellular functions in the body are sensitive to the pH of their fluids. If the pH falls too far to the acidic side the cells become poisoned in their own toxic wastes and will die. All chemical processes have an ideal pH. Your blood should have a pH of 7.35 - 7.45. Many studies show that people with a correct blood pH enjoy good health; whereas, people with a low, or acidic, pH are more likely to be ill. The slightest imbalance can cause serious illness and disease. An acidic body is a magnet for sickness, disease, cancer and aging. Eating more alkaline foods helps shift your body's pH and oxygenates your system. Alkaline foods keep your body healthy and functioning correctly, preventing and combating cancer. High pH cancer cure official scientifically & medically proven in Human Trials. All 30 cancer sufferers taking part in these tests & trials found their tumors gone, along with pain & side effects, all gone, disappeared within 36 hours. Every food and beverage has an acid or alkaline characteristic and is measured on a pH scale of zero to fourteen, with zero being the most acidic and fourteen the most alkaline. For example, the pH of stomach acid is 1, diet soda is 2.5, coffee is 3, water is 7 (neutral), broccoli is 8, mineral water 8.5 and baking soda is 12 (similar to Alka-Seltzer). You can monitor the pH of your saliva or urine on a regular basis though the use of litmus strip testing, and litmus strips may be purchased at most health food stores or pharmacies. In October of 2014, I was faced with a difficult decision. I had just been diagnosed with aggressive prostate cancer. I was also suffering daily from severe joint pain and inflammation throughout my body. I had no other choice, but to take my website's advice and totally eliminate all acidic foods and beverages from my diet; including my all time favorite drink, coffee! Four month after staring my high pH alkaline diet (consuming foods and drinks with a pH of 7 or higher), all of my inflammation was gone, never again to return. Also, in February of 2015, I had my prostate surgically removed and I am now cancer free! The only staple from my daily diet that I truly missed was my morning cup of coffee. Now- "Praise God! "- over one year later, I can start my day once again with a full cup of hazelnut coffee! Watch this simple experiment I tried two weeks ago that will raise the pH of your daily cup of coffee from a highly acidic 4.5 to a healthy 7.5. The following brands of bottled water are shown here in this comparison chart with their pH-levels and water source/treatment notes in order from worst to best: Vitamin Water 3.4, Propel Zero 3.5, Propel Fitness Water 3.36, Penta 4.0, Dasani (made by Coke)/Aquafina (made by Pepsi) 4.5, Function 5.0, Perrier 5.5, Poland Spring 5.8, Voss 6.0, Ice Mountain 6.0, Crystal Geyser 6.0, Deer Park 6.3, Smart Water 6.5, Great Value Walmart 6.5,Gerber Pure Water 6.5, Arrowhead 6.83, Evian 7.0, Eternal 7.0, Volvic 7.0, Zephyrhills 7.5, Absopure 7.5, Fiji 7.5, Super Chill 7.5, Evamor 8.0, Real Water 8.0, Essentia 9.0. Veronica Porterfield lives and works in the suburbs of Washington, DC. As a licensed nutritionist with a passion for demystifying dietary dogma, she helps others invest in their long-term health by making better food choices via her writing. She received her master's degree in human nutrition from the University of Bridgeport. Bone is living tissue and needs to be nourished properly to remain healthy. People who focus on calcium and Vitamin D intake for bone health are overlooking not only a host of other nutrients that are needed to build and preserve bone, but also the dietary factors that affect the bone mineral density. One of the key principles for maintaining bone tissue is keeping the pH of the body within a healthy range of 7.4. Acids are a normal metabolic byproduct of many of our body processes; minerals are needed to buffer these acids. People can get these minerals from their diet, or if not, can get them from their body's mineral reserves, our bones. Diet, then, should be rich in mineral buffers for human bodies. Too often, this is not the case; rather, the standard American diet features foods that add to the acid burden, contributing to the problem, not the solution. Check your pH as described above for a week, and then average your results. If your average is within the recommended range for the method you're using, strive to eat equal amounts of alkaline-forming and acidifying foods (1:1 ratio). If your average pH is lower than the recommended range (indicating that you are too acidic), alkaline-forming foods should make up a larger percentage of your diet--about 75 percent--while acidifying foods would constitute 25 percent of the daily diet. Become familiar with the effect foods have on the body's pH. Generally speaking, alkaline-forming foods are vegetables (particularly green vegetables), fruit and nuts. For a complete list, see the Resources section at the end of the article. Do not avoid all acidifying foods; the goal is not to eliminate these foods from the diet, since many of them provide critical nutrients. The goal is to find a healthy balance. However, there are some acidifying foods that are best avoided, including refined sugars and sodas; both are highly acidifying and offer no nutritional benefit. A healthy body needs to be slightly alkaline in order to function in a perfect way. More acid built up in the body makes the multiplication and regeneration of the healthy cells next to impossible. Also it has been found out that cancerous cells tends to thrive and grow in acidic environment and if the body changes its environment to alkaline form acidic, it makes it very hard for the cancer cells to regenerate and the growth of cancer is not possible. One way to do it is to eat a well-balanced diet that contains lots of alkaline producing substances and it may stop the growth of cancer either fully or partially. Continue reading to know more the relationship between alkaline based diet and cancer. An alkaline diet is a diet that puts the focus on eating alkaline foods like whole fruits and vegetables and specific whole grains, which are low in caloric concentration. A healthy alkaline diet is a continuous process of creating the perfect equilibrium between acidifying and alkalizing foods in our day to day consumption. A healthy body is extremely capable of filtering excess amounts of acid that forms inside during the process of digestion of food. Body has a number of organ structures that are very proficient in carrying out that task for the body. In the end there is a certain limit to the amount of acid, a healthy body can filter out. If the organs of the body are performing that way they should, the body makes perfect symmetry of acid-alkaline balance in itself. It also depends on the amount of alkaline based food that is eaten by us and the amount of acid producing food we avoid. The principles of pH therapy are very modest. The breakdown of cancer cells has a very narrow pH acceptance for cellular multiplication and creation, a process called mitosis, which is in the range of somewhere between 6.5 and 7.5. Given that we can hinder with the cancer cell metabolism, the only way to do so is by either dropping or increasing the level of pH in the internal cancer cell. If this can be done, in theory at least, you can stop the spread of cancer. Increase in the acidic levels in a body of a cancer patient causes extreme pain and it also puts the normal and healthy cells under extreme strain. By lowering the said acidic levels, but giving the patient an alkaline rich diet, it normalises the intracellular pH level of the cancer patient’s body which in turn reduces the acidic levels. When the pH of the cancer cells reaches a range above 7.5, they revert to a normal cellular apoptosis cycle or programmed cell death. The first step is to change the cancer patient’s diet, when someone is diagnosed with any kind of cancer. The alkaline diet, which is based on consumption of plants and fruits and which restricts the intake of sugar, gluten, dairy and fast food, gives the sick body of a patient the strength to fight the cancer cells. The diet focuses on changing the body’s intracellular pH level to reach near the idyllic blood pH of 7.3/7.41. This pH level is a major accomplishment that not only helps you if you have cancer, but it makes you even healthier and outs you on a path of a long and fulfilled life. An alkaline based diet is the best diet for someone who is diagnosed with cancer. The diet is based on fresh and organic vegetables and fruits and it creates a very inhospitable environment for the cancer cells to multiply and spread in the body. Meanwhile it works towards fortifying the body’s immune system and since healthy cells find it easy to grow in alkaline environment, such diets provides the body for creating more healthy cells. The alkaline therapy immensely helps in counteracting the acidic waste that is left by the cancerous cells. This acidic waste is the reason behind immense pain that a patient suffers. Alkaline diet obstructs the anaerobic fermentation of glucose, which is the instigator of the acidic cancer waste cycle and the diet in turn can induce remission in the patient. Actually if this theory of alkaline therapy is true and proved by the research, it will become easier to treat cancer without using chemotherapy, radiation or surgery which causing immense pain and side effects in a cancer patient. Summary: This study evaluated 25 patients with gastrointestinal problems (chronic diarrhea, constipation, abnormal fermentation in intestines, indigestion, acid indigestion, etc.) were either given alkaline water or clean water to drink. Results:It was confirmed that alkaline ionized water is more effective than clean water against chronic diarrhea, abdominal complaints and overall improvement rate (relief of abdominal complaints) and safer than clean water. 88% of the test subject that received alkaline water showed improvements. Summary:Study examined people who were determined to get sufficient calcium from their diets to find out if alkaline water could reduce the rate of bone loss. The study compared alkaline water to acidic water to see if alkaline water worked better. Results:In calcium sufficiency, the alkaline water led to a significant decrease of PTH and of S- CTX (two important markers of bone loss). The acidic water with did not reduce bone loss. Summary:A natural alkaline mineral water with a pH of 8.7 was evaluated to see if it reduced blood pressure in people with low magnesium and calcium levels. Results:The results of this study suggest that waterborne minerals are a valuable source of nutrient uptake, and can reduce blood pressure in people with calcium and/or magnesium deficiency. Summary:Human DNA was subjected to oxidative damage using hydrogen peroxide to simulate the type of damage that free radicals do to DNA in the body. Results:Alkaline water was shown to enhance the antioxidant activity of ascorbic acid (vitamin C).